The Milwaukee C12 ID Compact Impact Driver measures just 165mm in length, making it ideal for working within confined spaces. 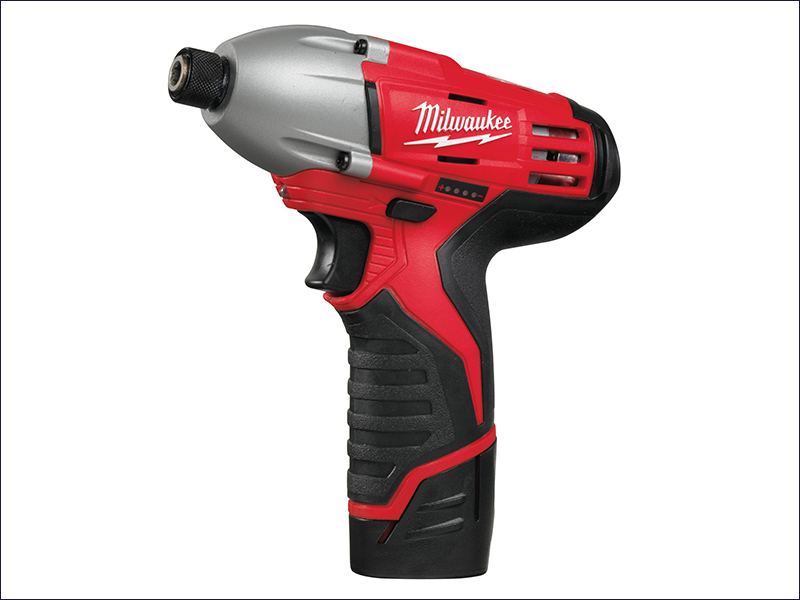 The impact driver has a heavy-duty full metal gearbox and gears for superior durability and maxmimum torque. REDLINK™ overload protection electronics in both the tool and battery pack deliver excellent durability, whilst its impact mechanism increases driving speed to a category leading 2,000 rpm. It has a 1/4 inch Hex chuck, allowing quick and easy one handed bit change. The C12 ID has a slimline soft-grip handle for comfortable use. A built-in LED light illuminates the work surface.